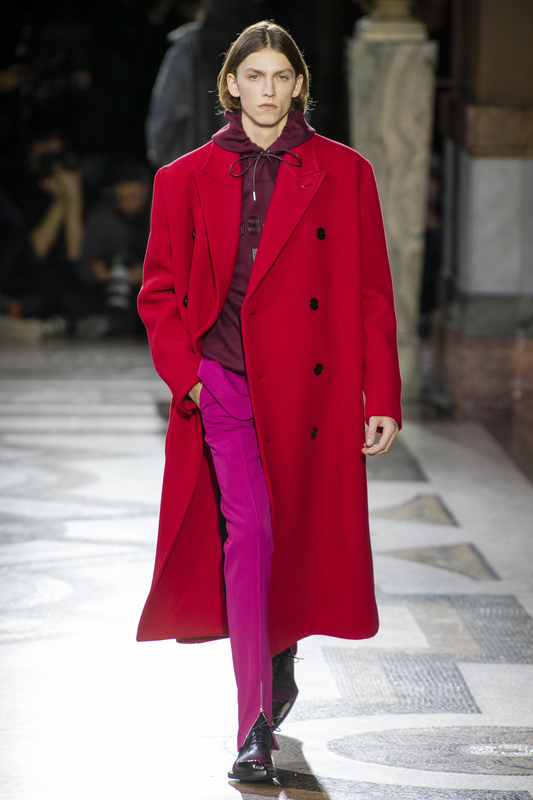 The Berluti Fall/Winter 2019 collection marks as Kris Van Assche’s first collection for the atelier as Artistic Director. 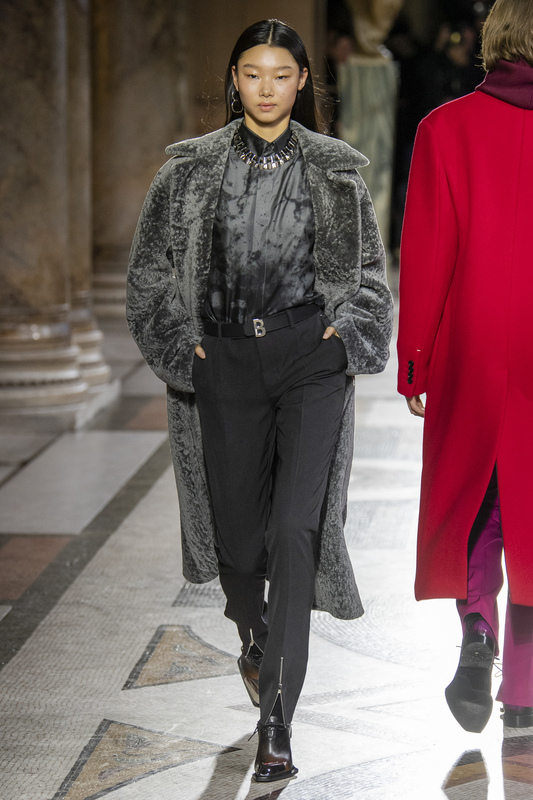 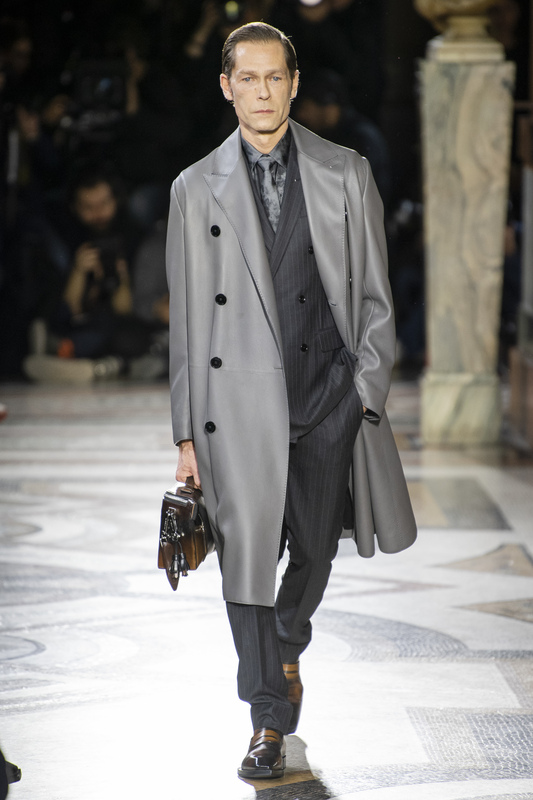 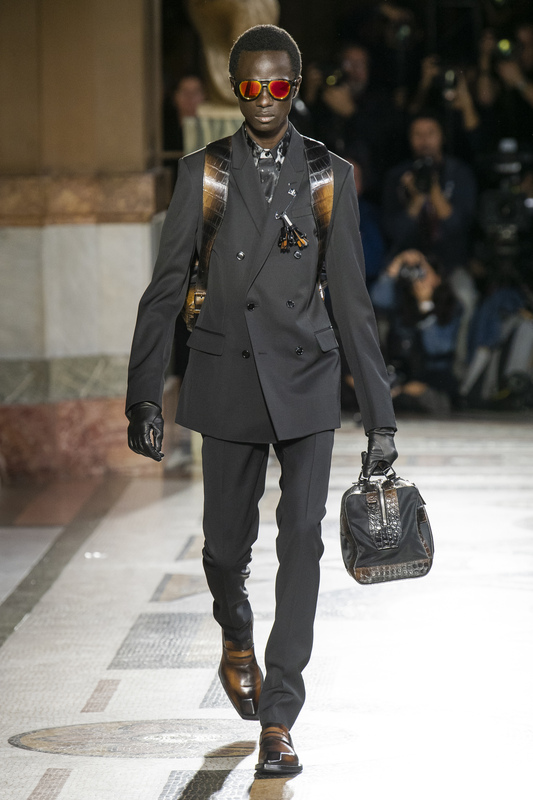 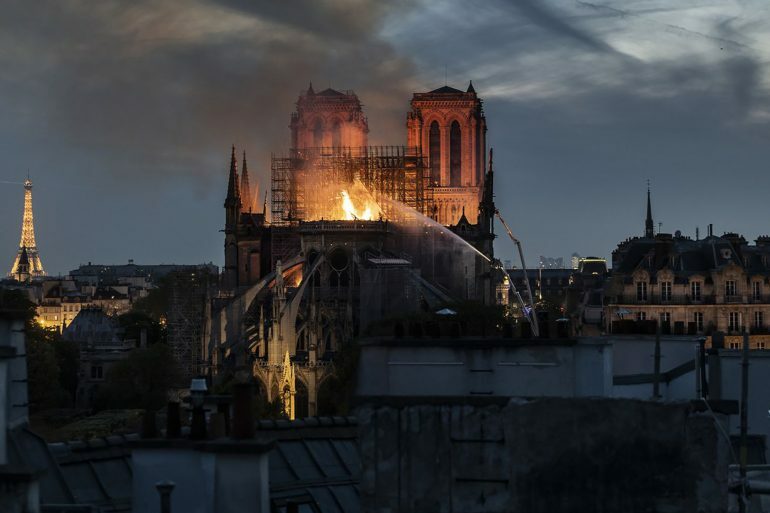 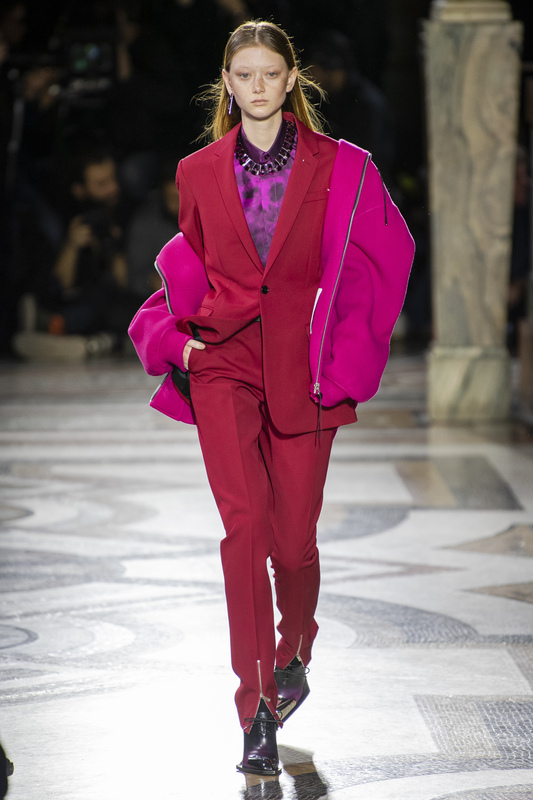 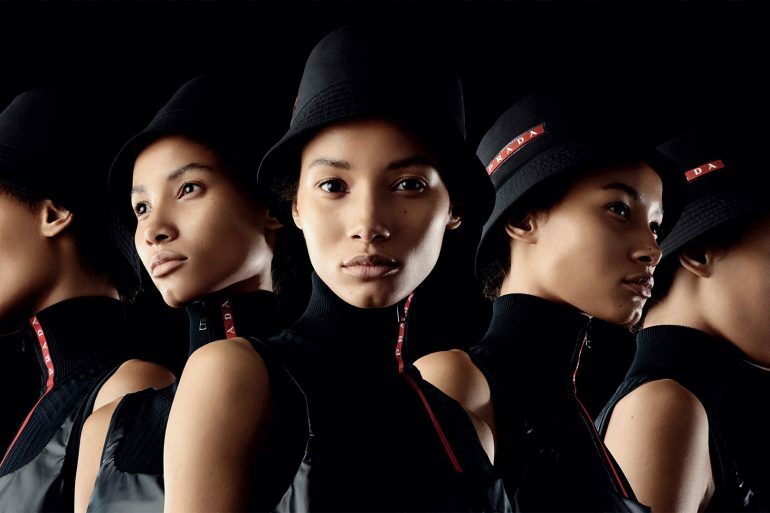 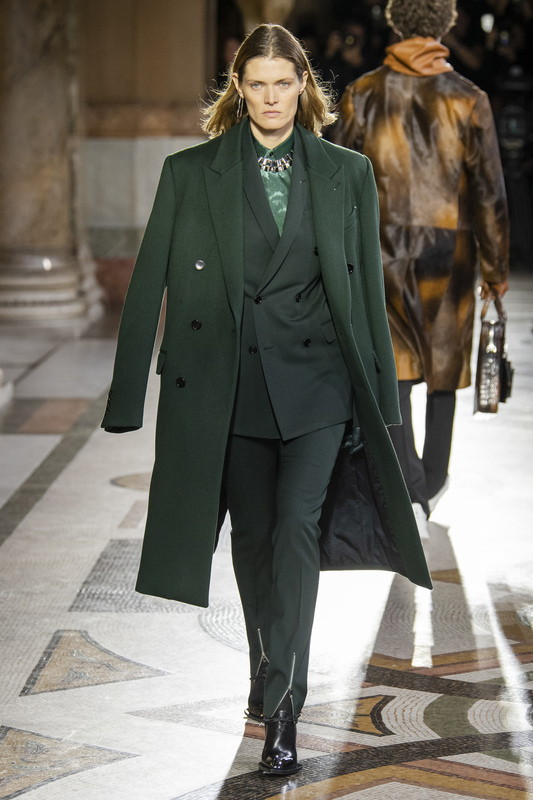 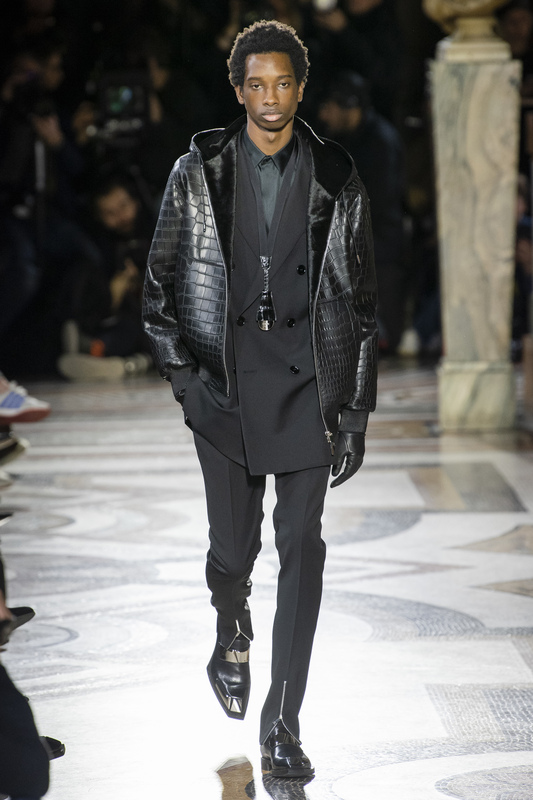 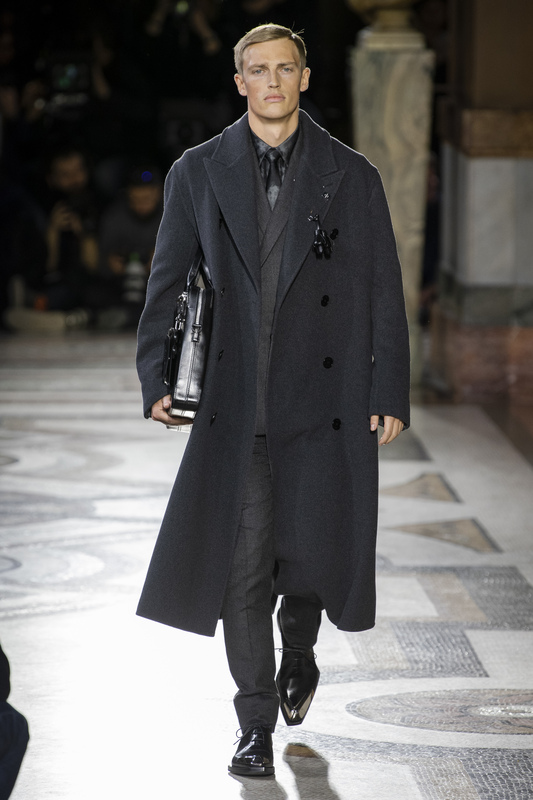 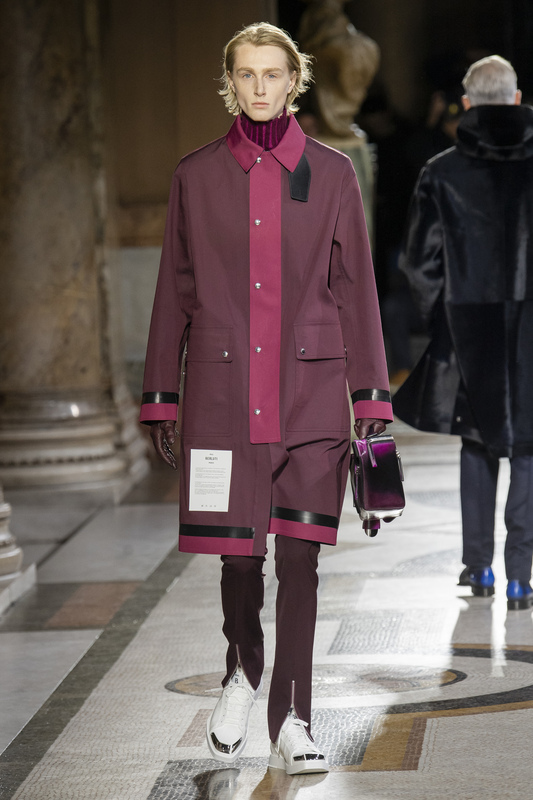 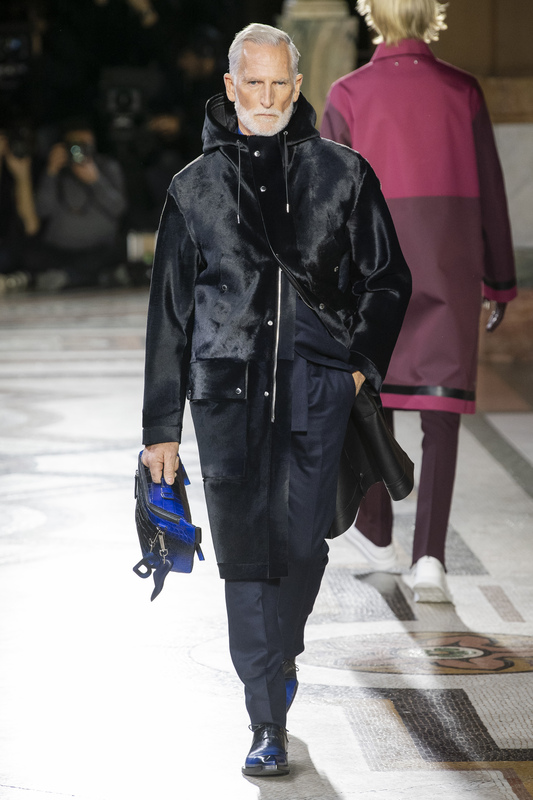 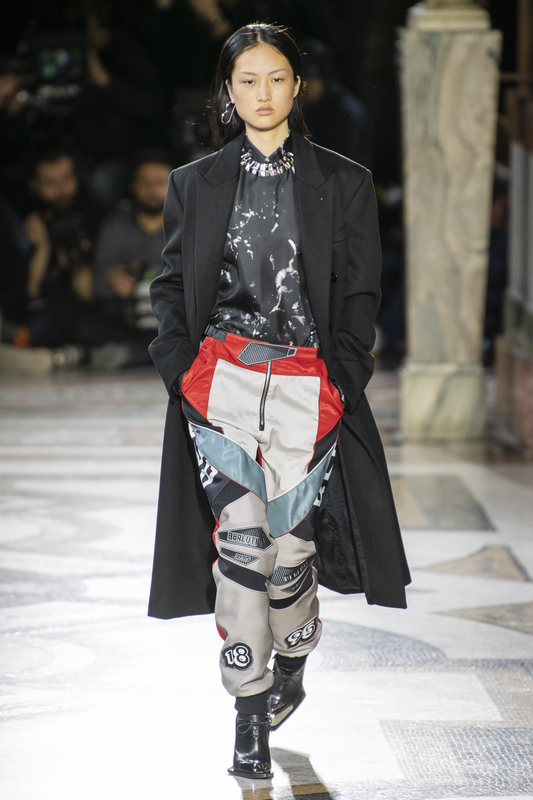 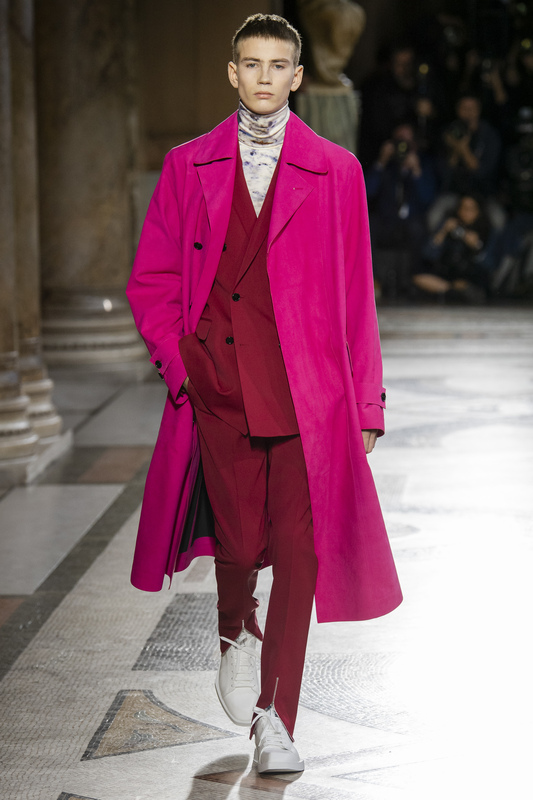 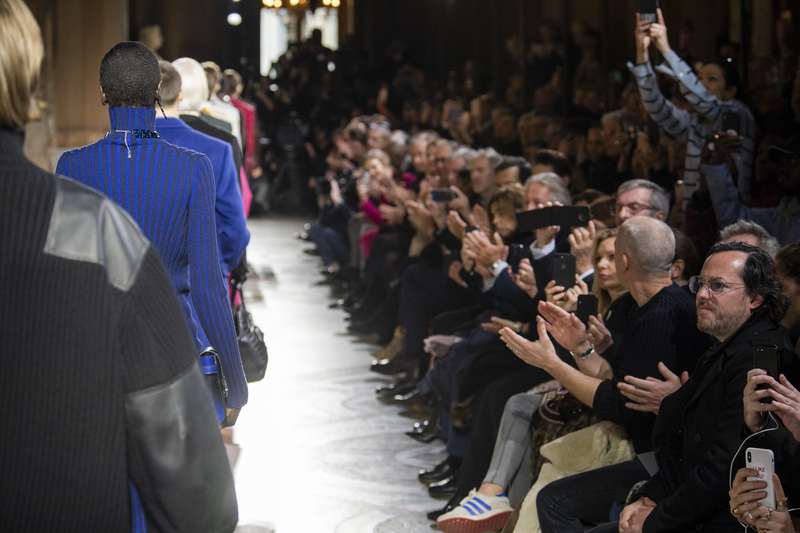 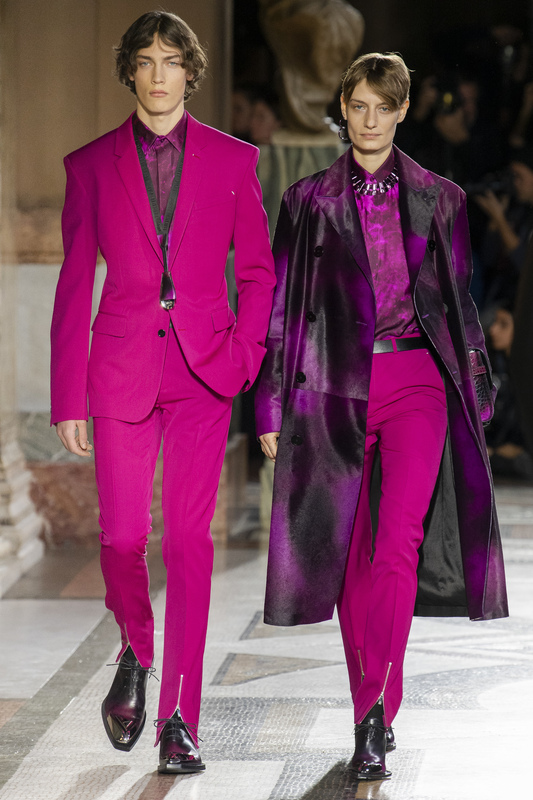 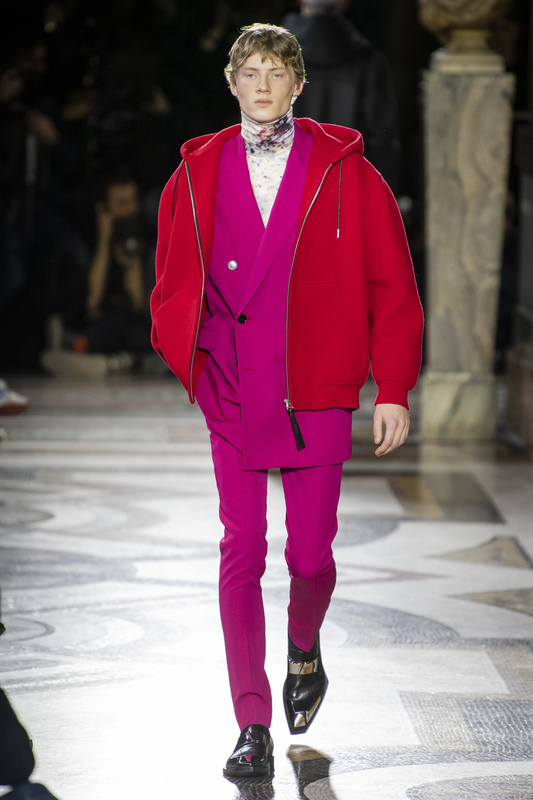 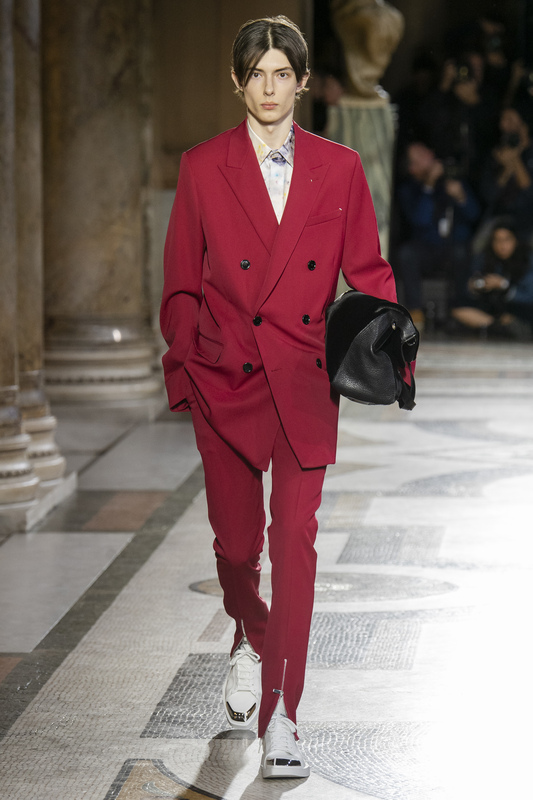 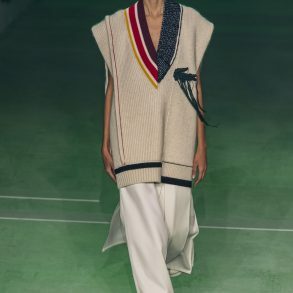 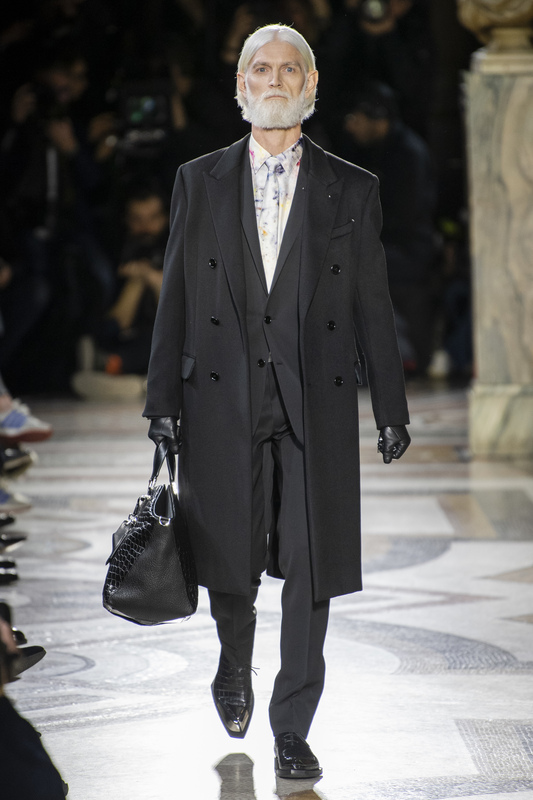 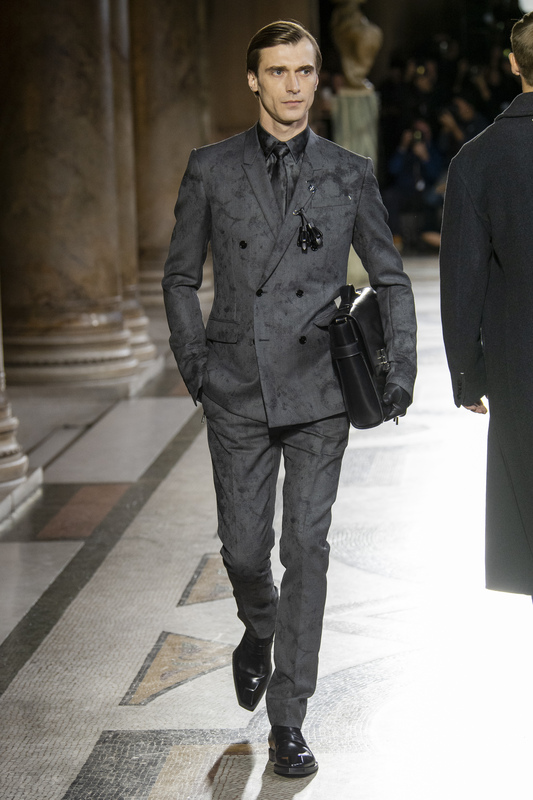 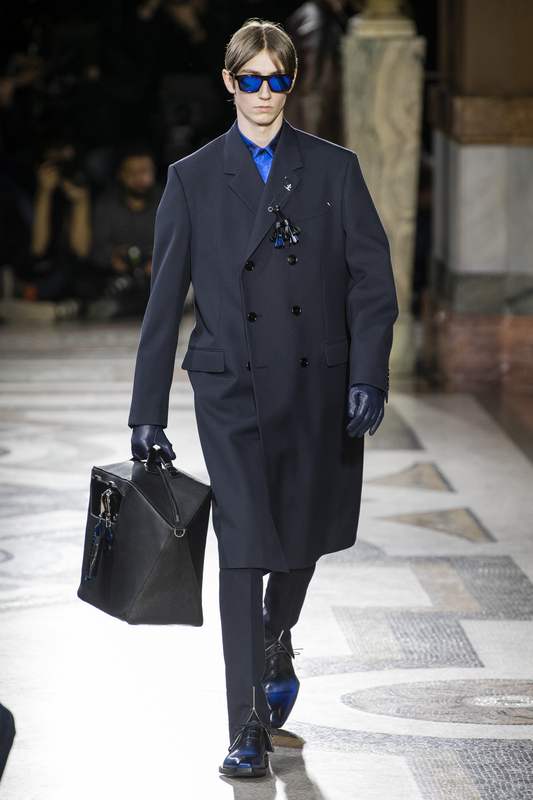 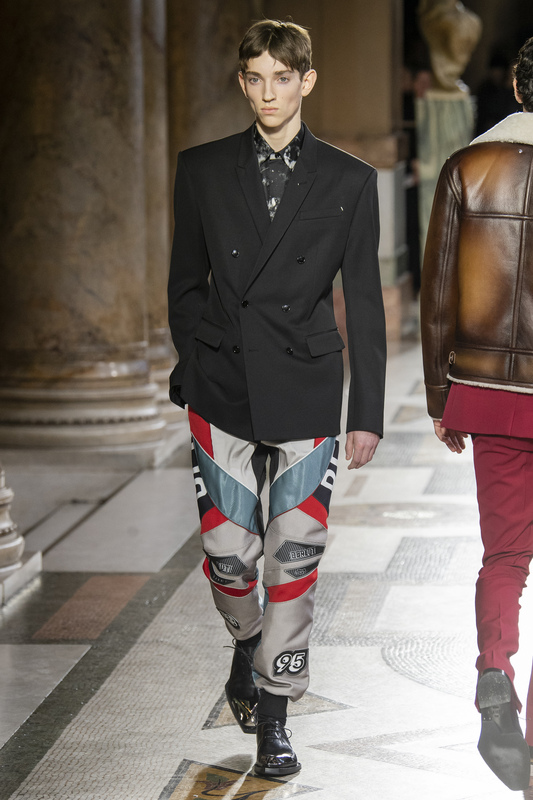 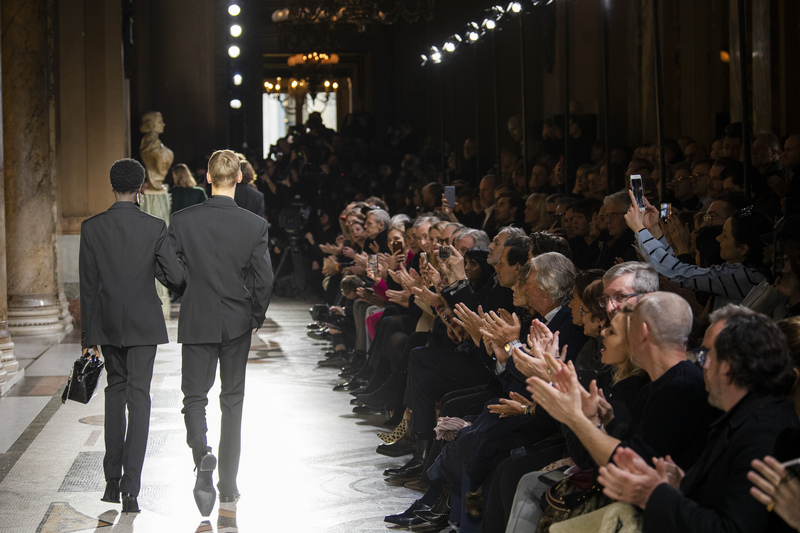 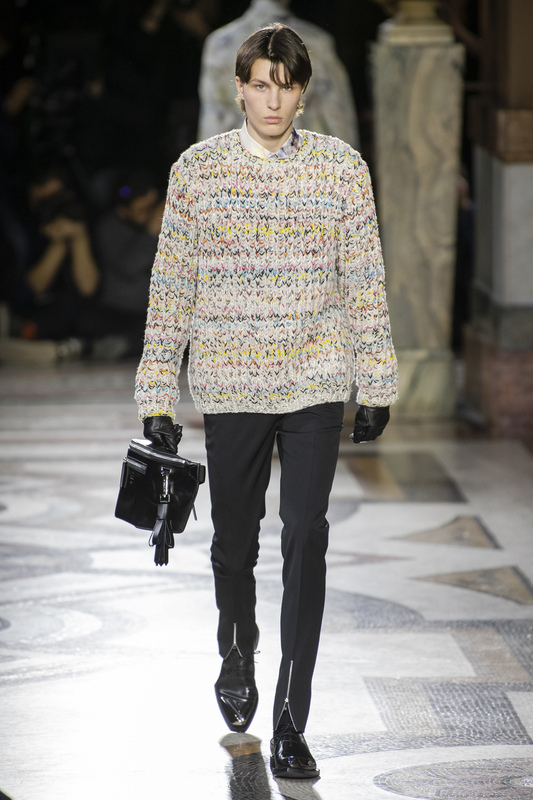 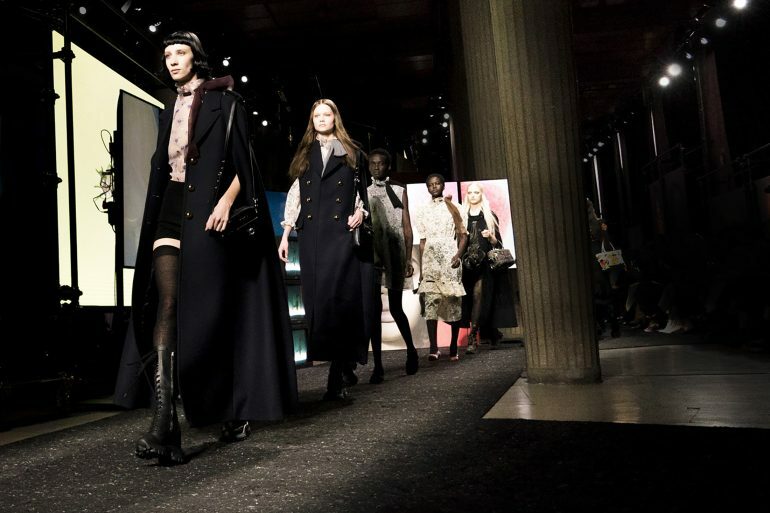 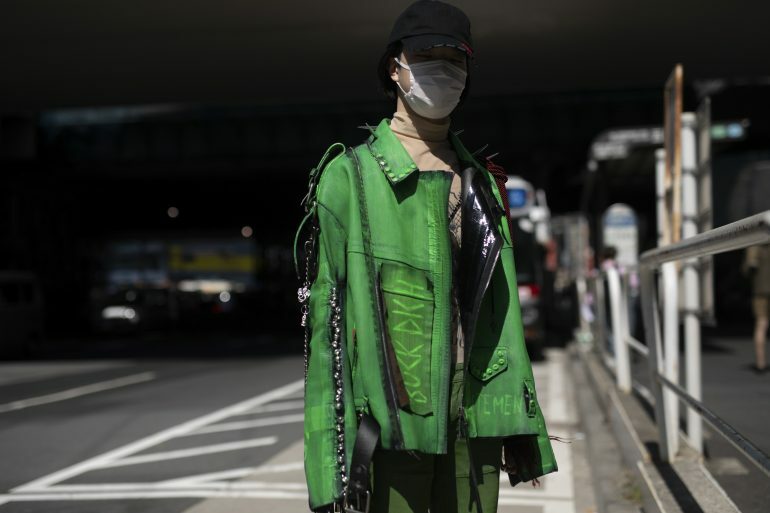 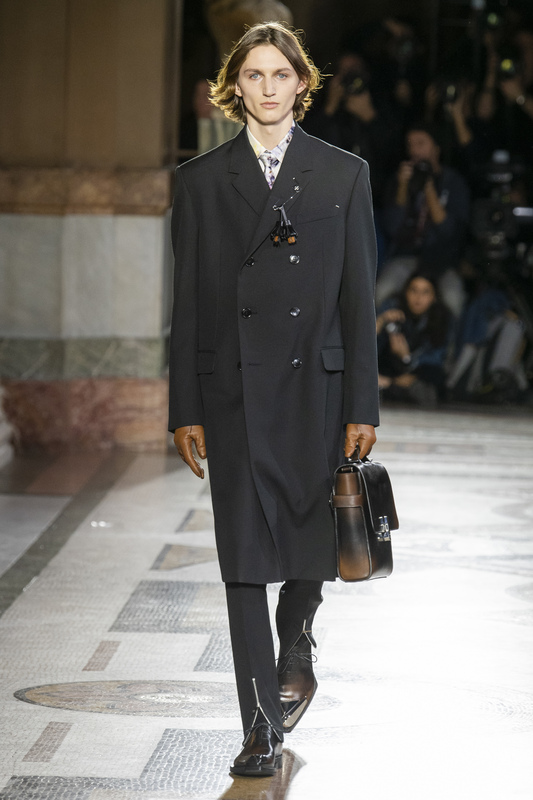 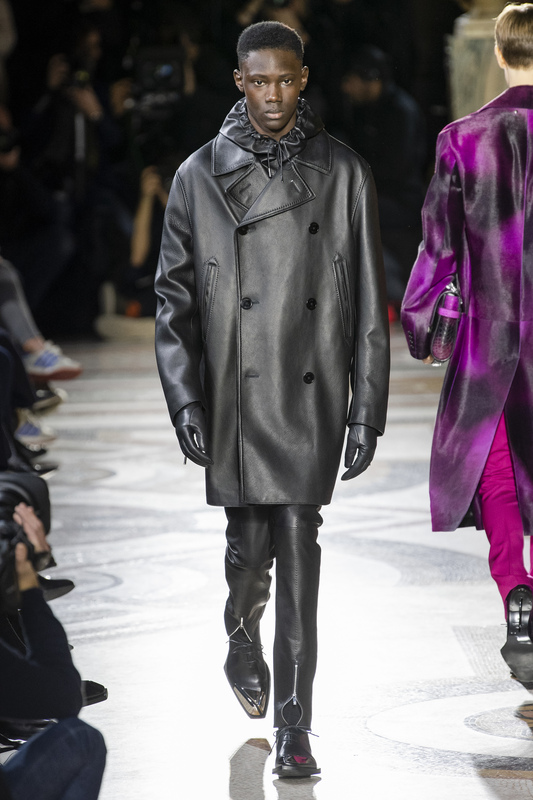 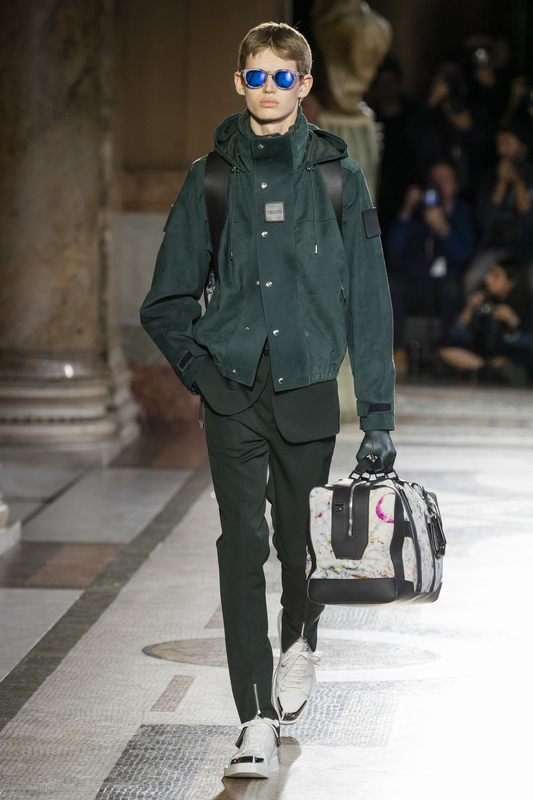 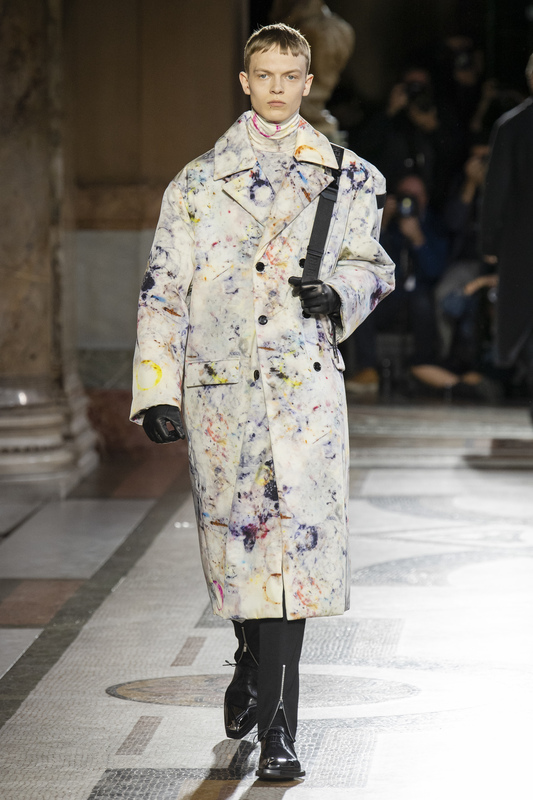 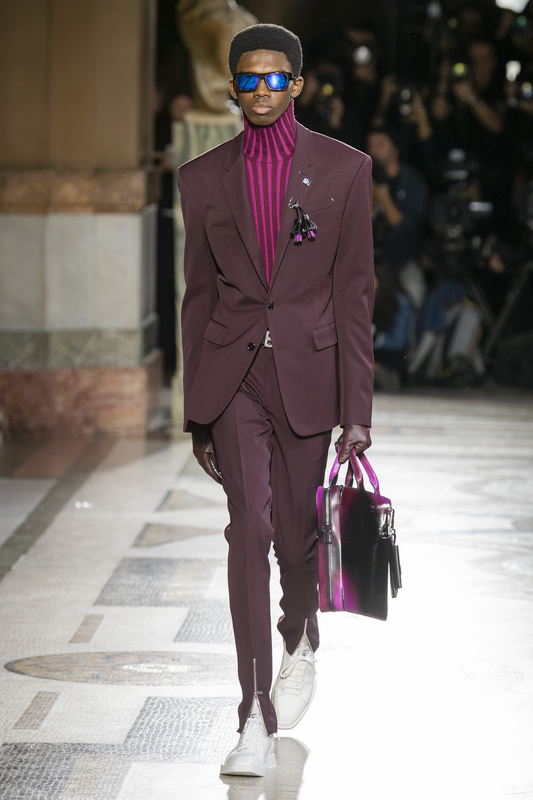 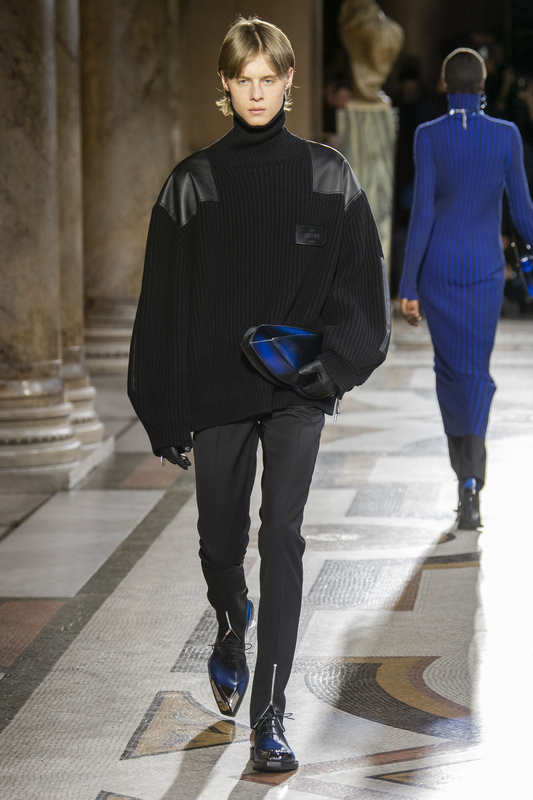 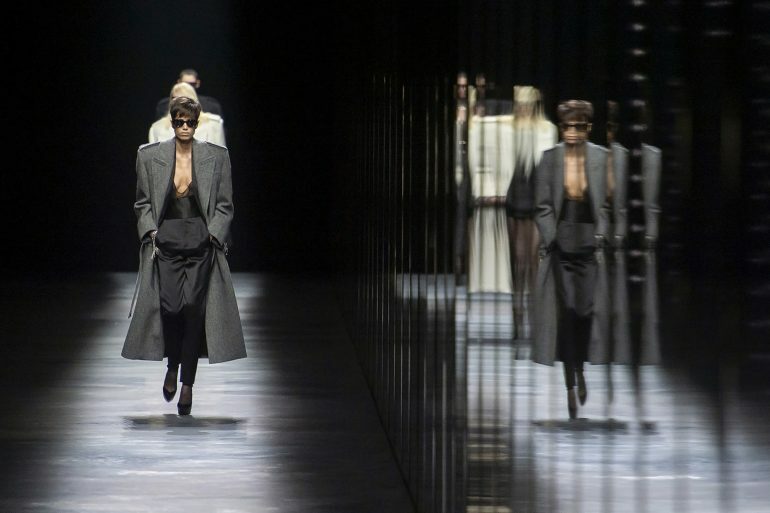 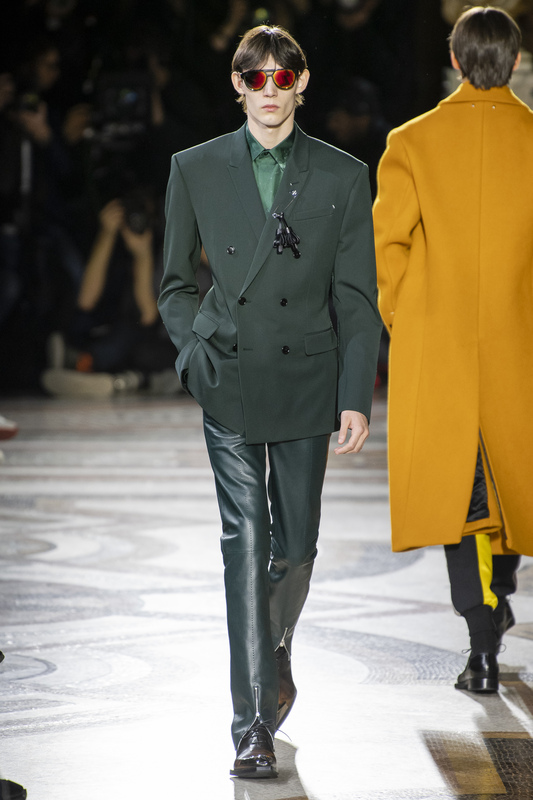 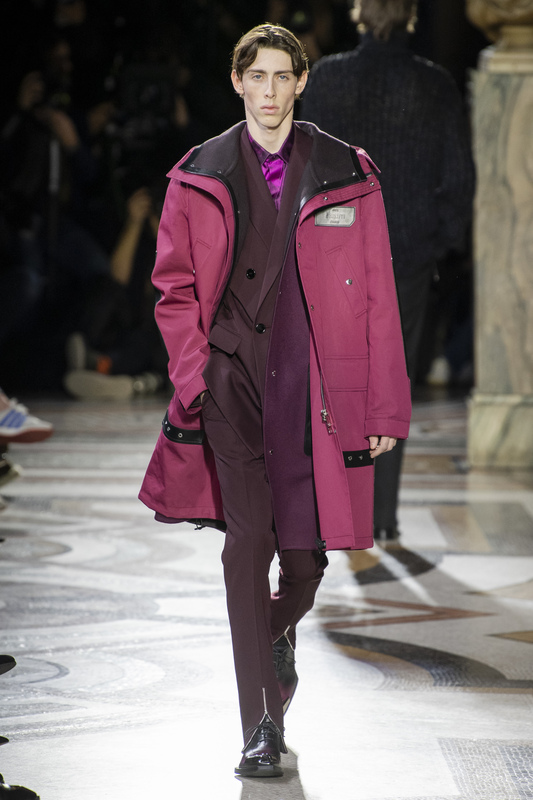 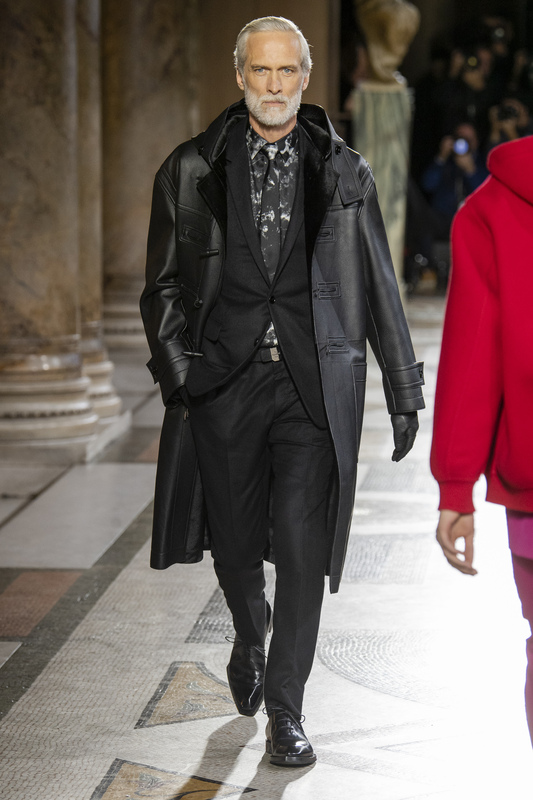 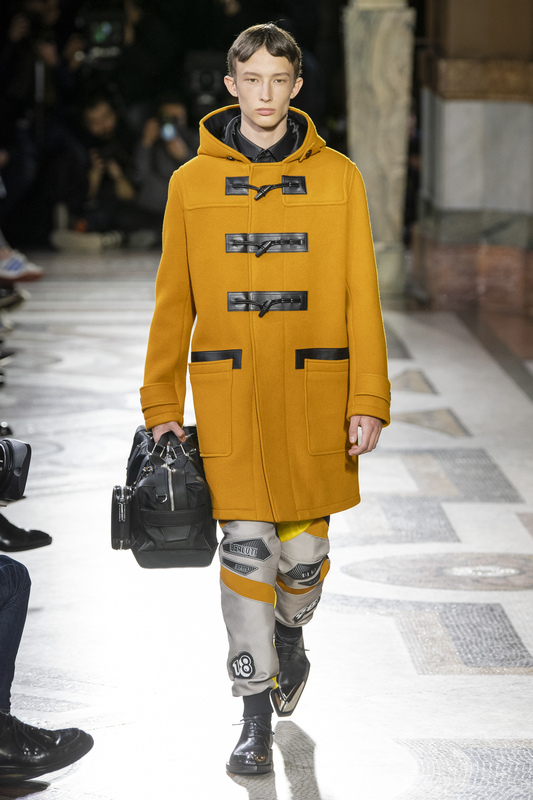 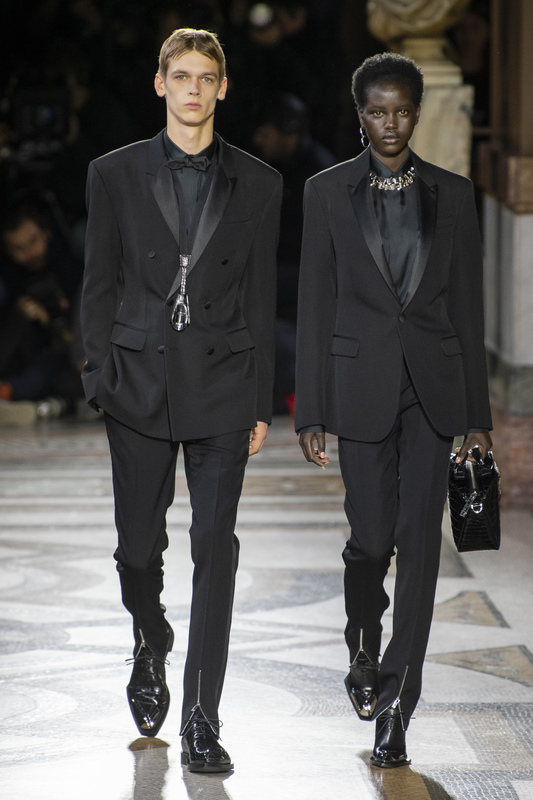 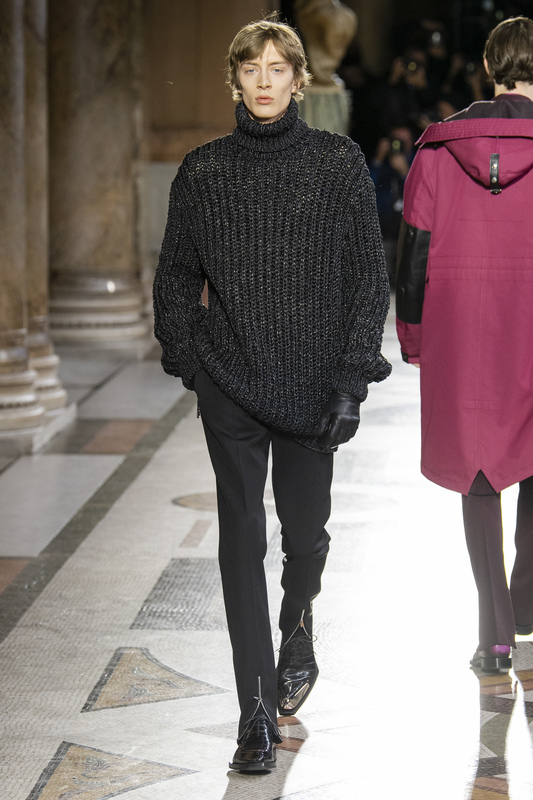 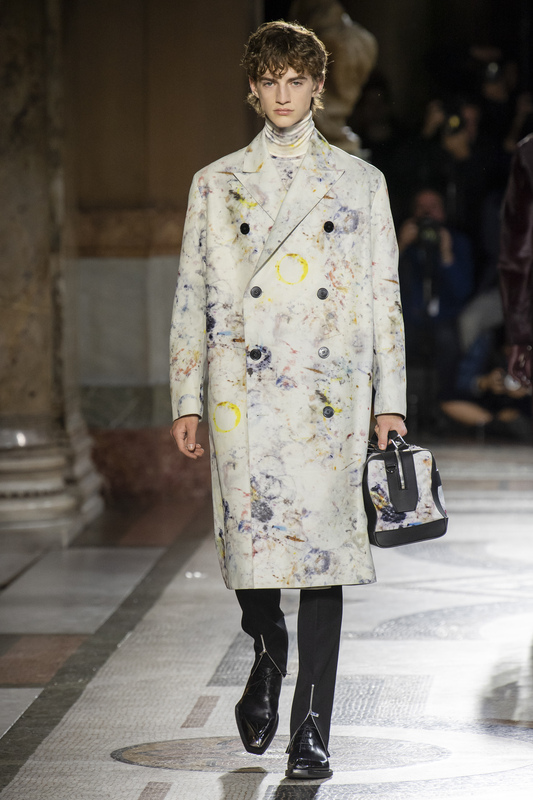 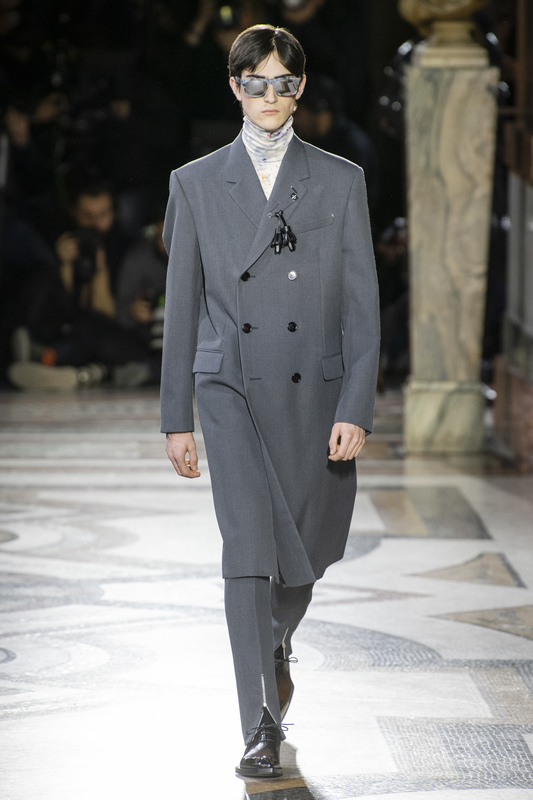 Van Assche assumed the role from Haider Ackermann nearly one year ago and released a capsule collection and footwear-focused campaign in the interim, but the wait for a full menswear collection by the designer ended at Palais Garnier on Friday and it did not disappoint. 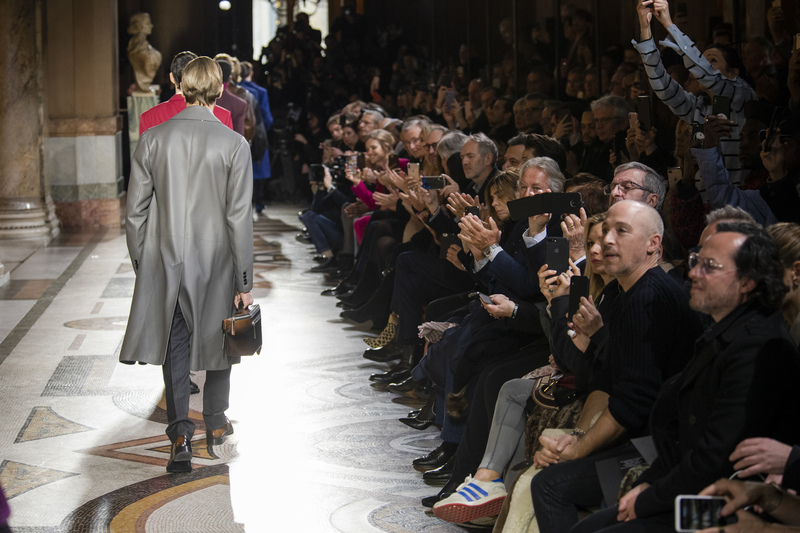 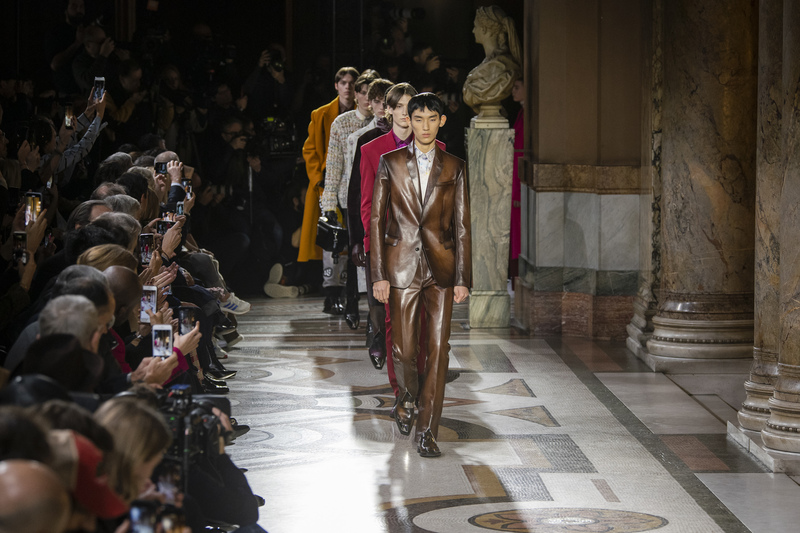 The lavish venue and powerful music made for an epic showing that nodded to Berluti’s history in shoemaking. 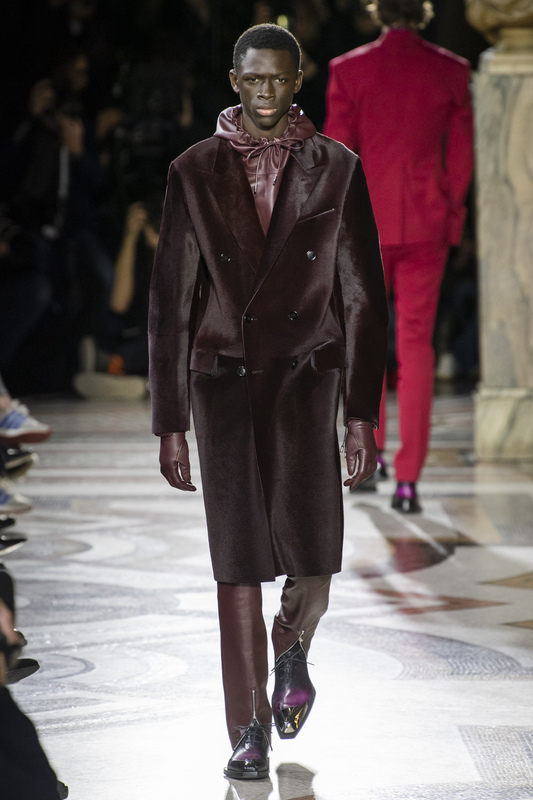 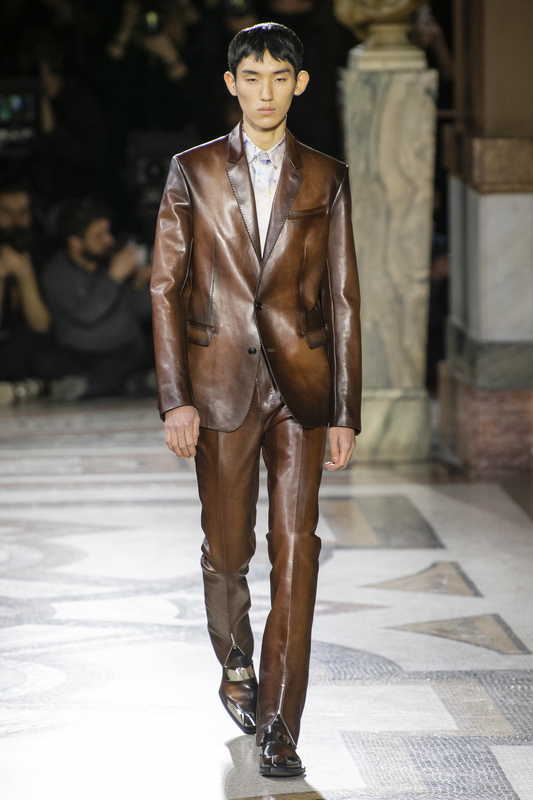 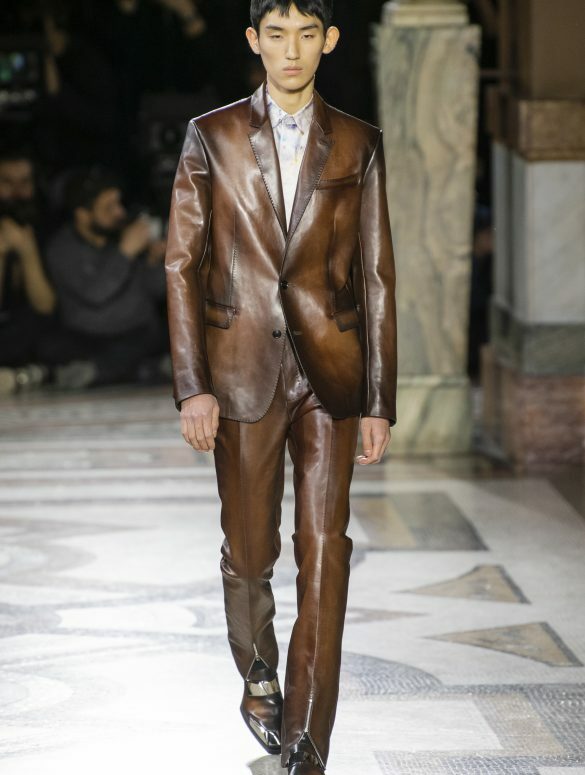 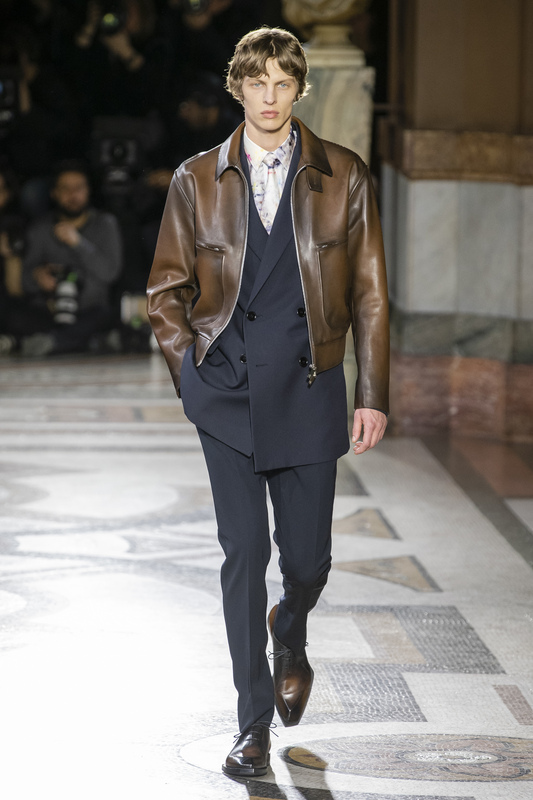 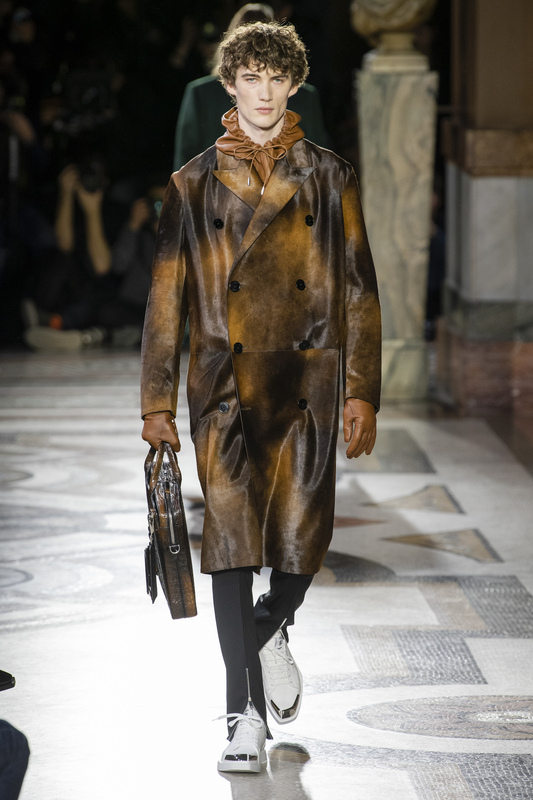 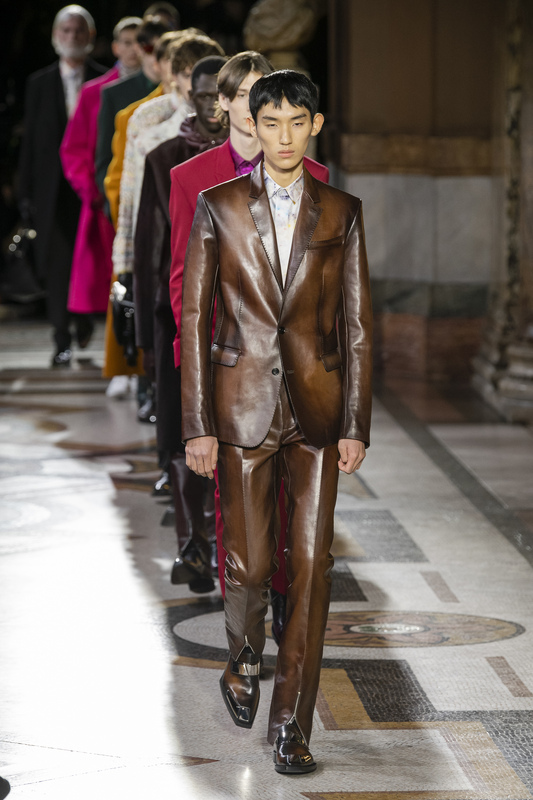 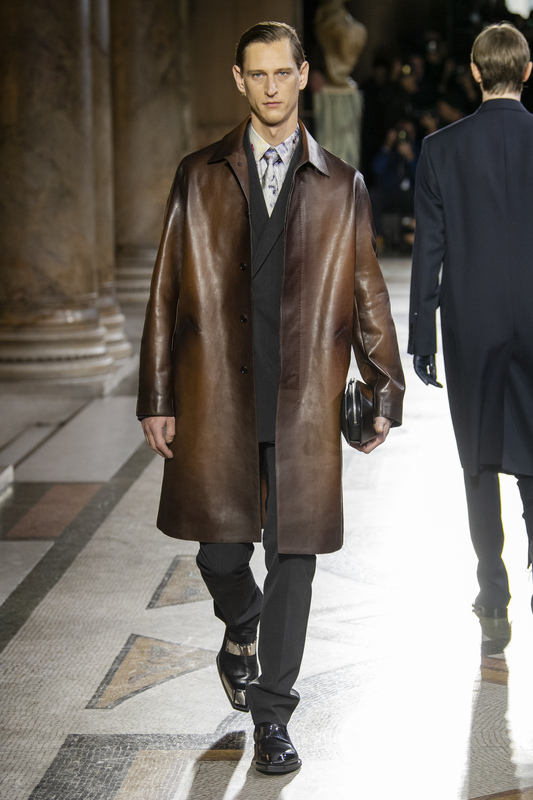 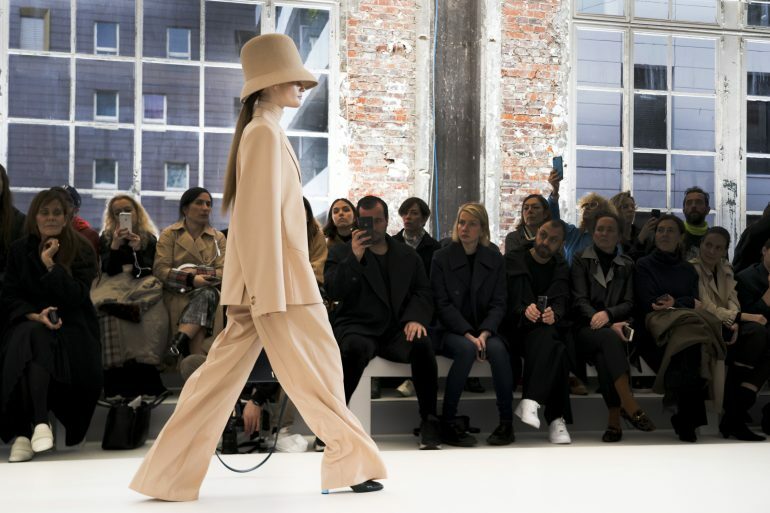 A brown suit dyed to mimic the natural patina of brown shoes opened the show and was followed by soft leather suits and sportswear, impeccable tailoring and unexpected motocross pants that add a dash of ‘street’ to the collection. 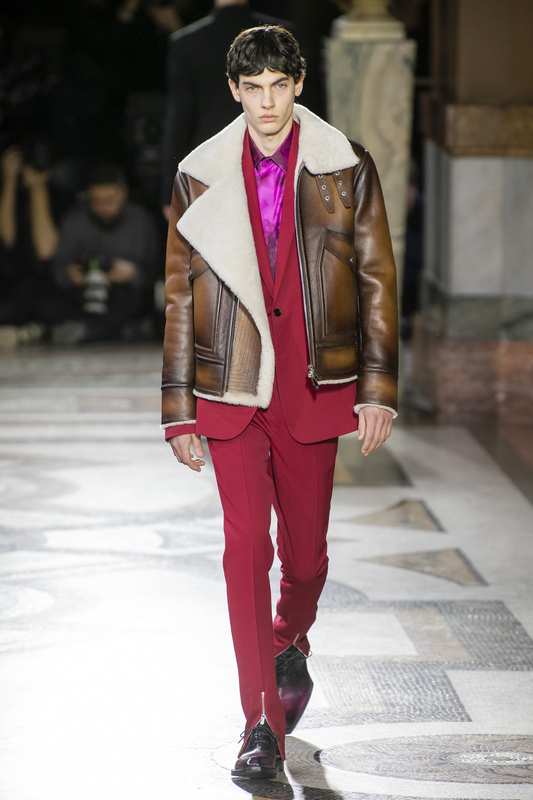 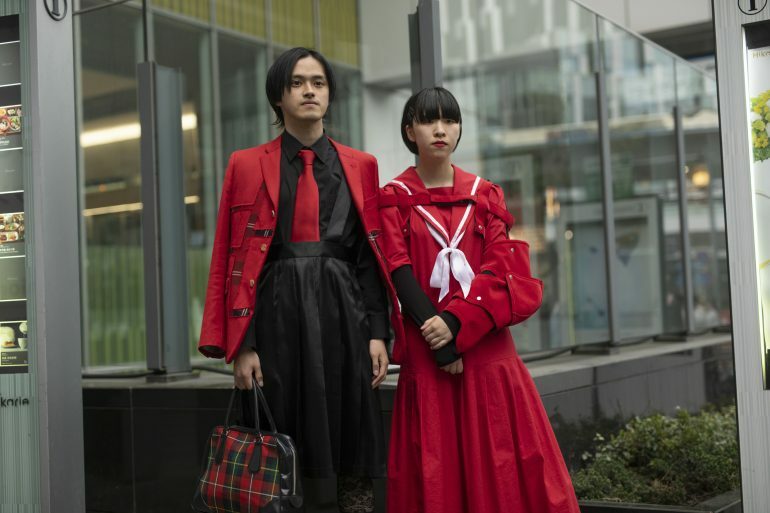 The collection also boasts a colorful tailoring and outerwear offering in vibrant reds and blues, yellow, green and pink in luxurious fabrics like kangaroo fur. 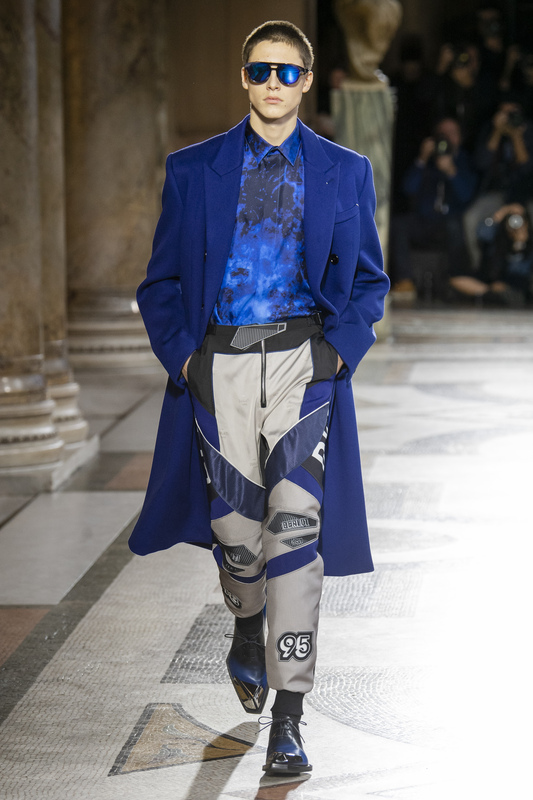 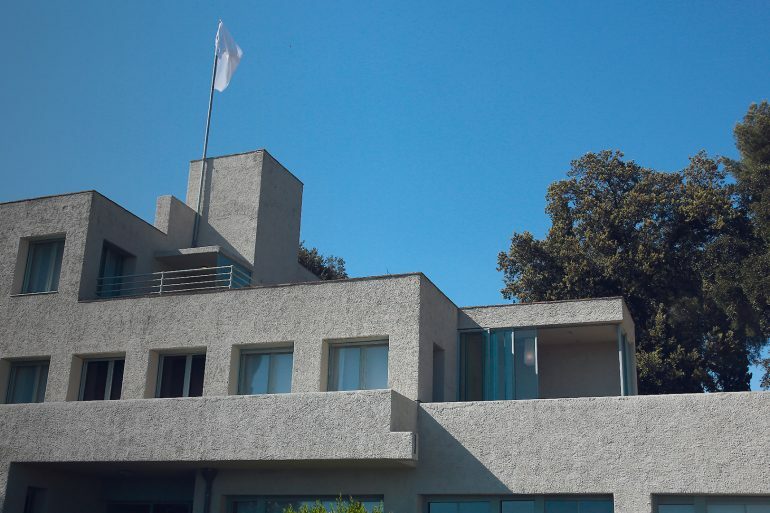 Van Assche drew most of his inspiration from Berluti footwear, referencing the shoes through dye patterns and silhouettes, such as pointed white sneakers that nod to the Alessandro loafer, and the atelier’s “manifattura” in Italy, purposing a work surface as a print on outerwear and silk shirts. 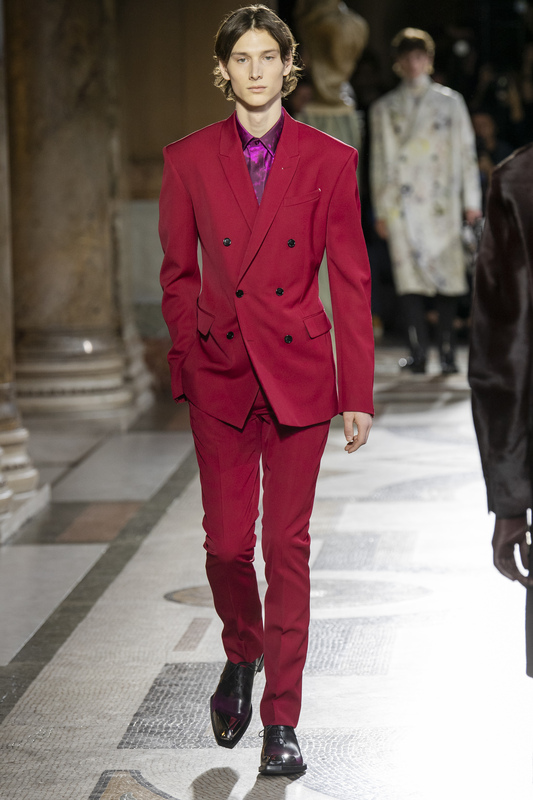 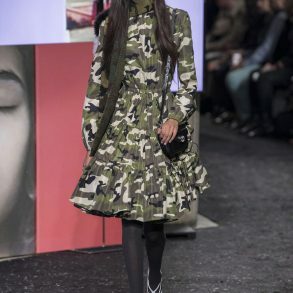 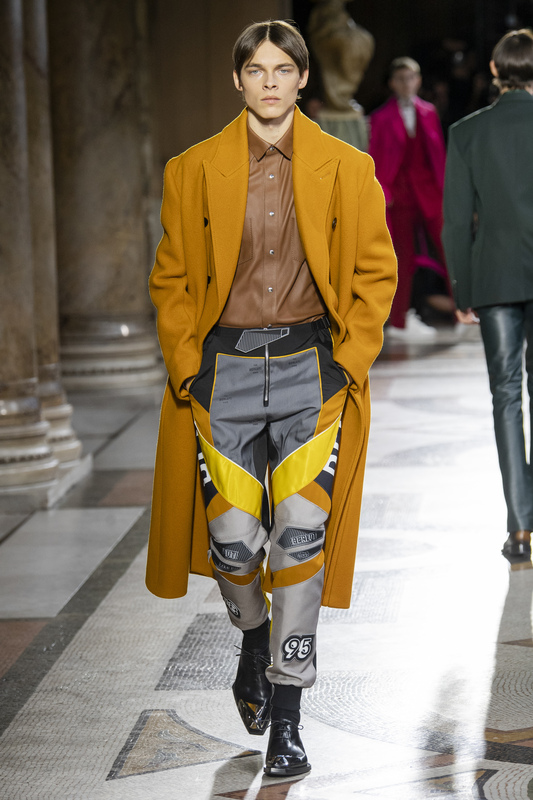 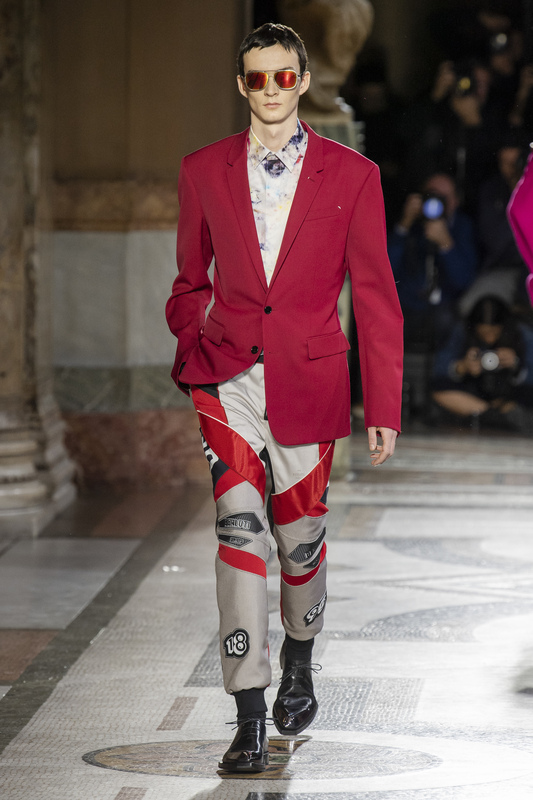 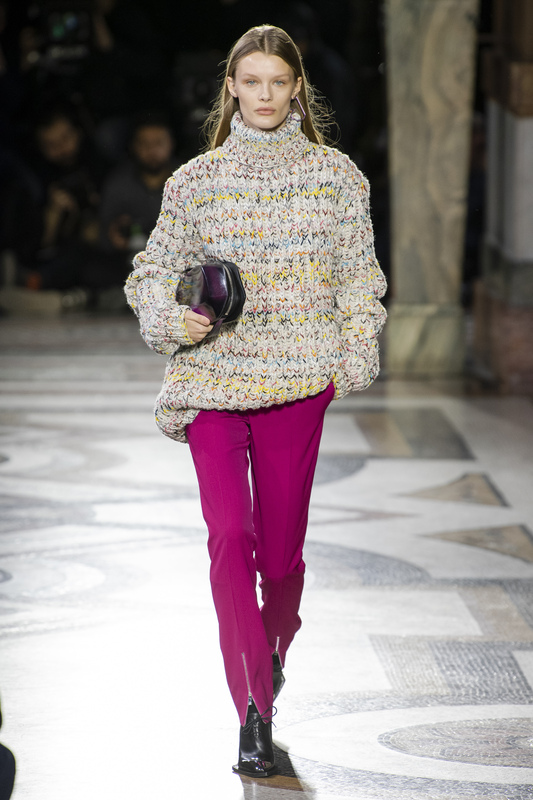 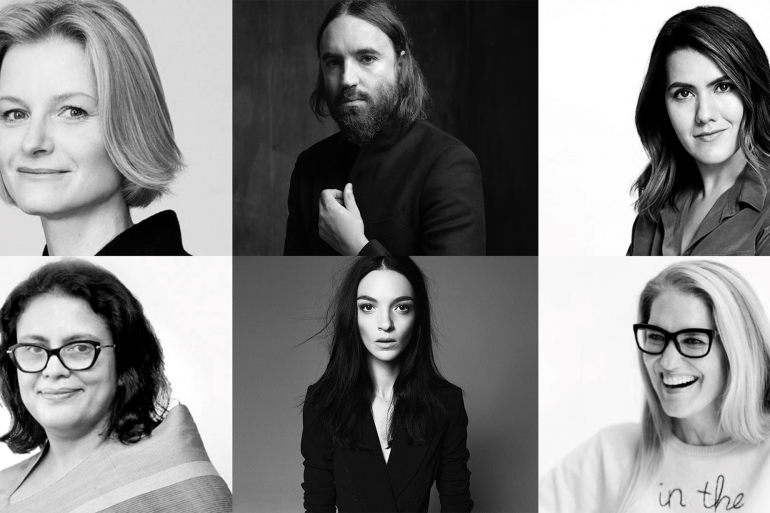 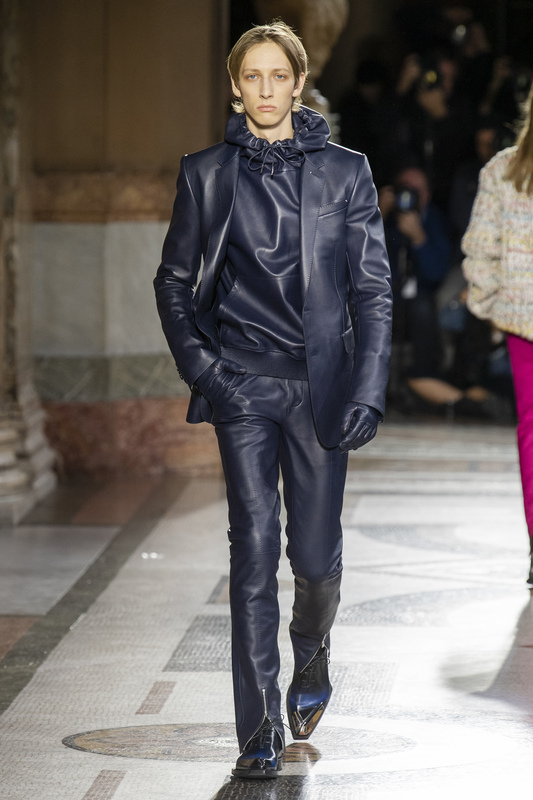 Piergiorgio Del Moro cast women models to walk the show in suits, motocross pants, and a blue turtleneck sweater dress, and older male models to wear the mature looks of the collection.